Aside from hosting many TV commercial and feature film shoots, Johannesburg is the TV production capital of South Africa. Film locations range from upmarket office complexes, shopping centres and houses to grungy city streets, gold mines and industrial complexes. 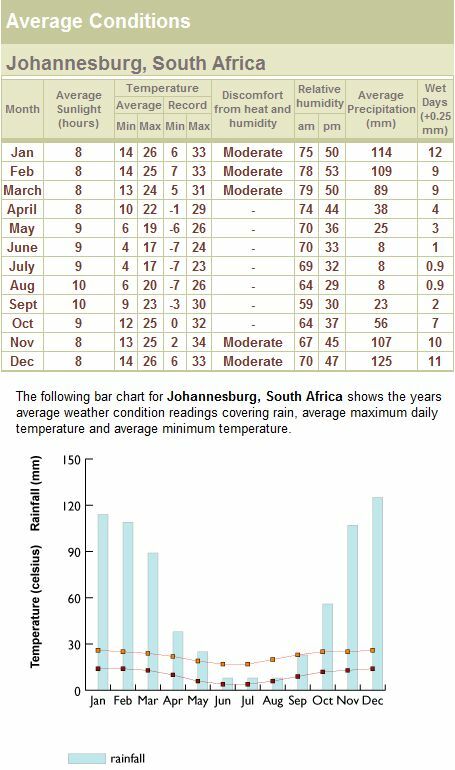 Hot summers with afternoon rainfall (October-March) with relatively mild, rain-free winters (April-September). The Johannesburg metropolis is linked by good roads to the nearby cities of Pretoria, Midrand, Sandton and Soweto.